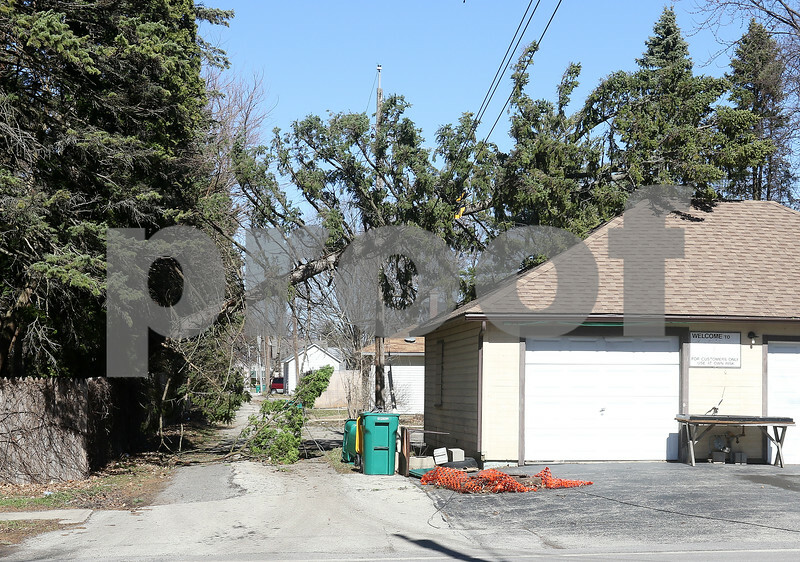 Windy conditions toppled a tree onto a detached garage behind 53 South 7th Street, knocking power lines down across East Roosevelt Street on Wednesday, Mar. 08, 2017 in DeKalb. The power lines melted the asphalt on the road.